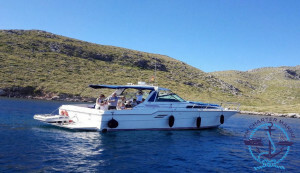 PERSEO Yacht, is a Sea Ray 460 Express Cruiser, designed to enjoy a cruise on the sea, accompanied by your family or your friends, where you can enjoy all the existing comforts, from sunbathing on the wide bow sundeck, have a drink on the stern sofa or rest in the cabin with the air conditioning. 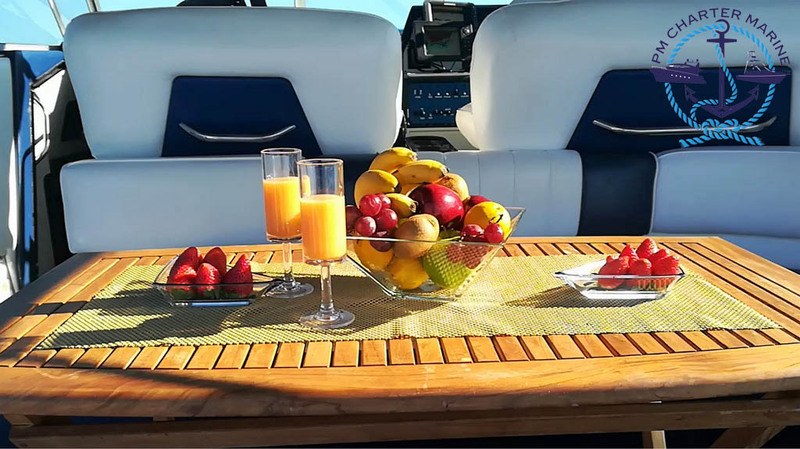 We invite you to share an unforgettable experience on board the YATE PERSEO, visiting the north of Mallorca and accompanied by one of the best teams of professionals on the island. Generator, air conditioning and heating. Double cabin in bow, second cabin convertible in lounge. Full kitchen, with ceramic hob, microwave, 2 fridges and freezer, electric coffee maker, crockery, glassware and cutlery for 12 people and furniture bar. Large living room, ice machine, stereo with radio CD, USB, TV and DVD. Full bathroom with shower with hot water. 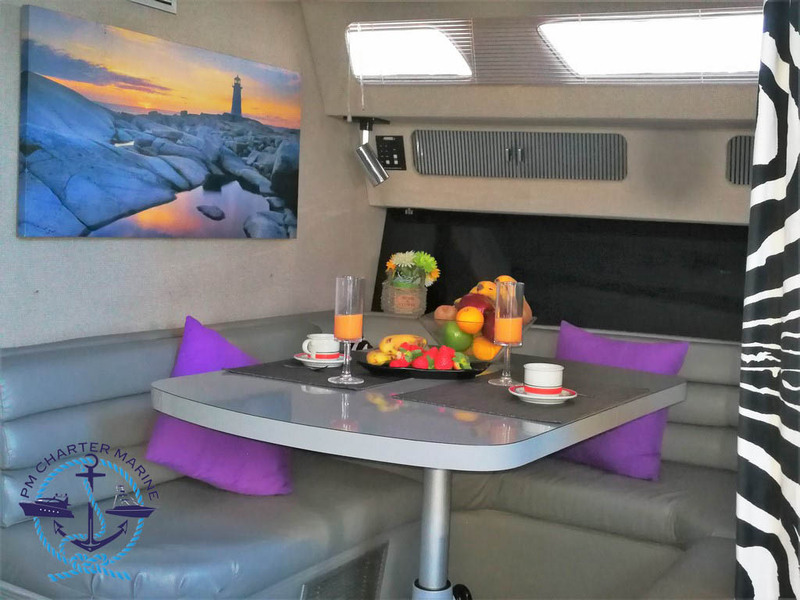 Spacious bathtub, extendable awning and large sundeck with mats in the bow. GPS / Plotter / Radar / Probe. Autopilot, VHF radio + DSC. Rigid roof, electric windlass, flaps, cockpit lock, Vacuflush WC and black water tank. Electric bilge pump, battery charger. *What do you mean “Exclusive private”? It means that you want the exclusivity of the boat for you and your guests. 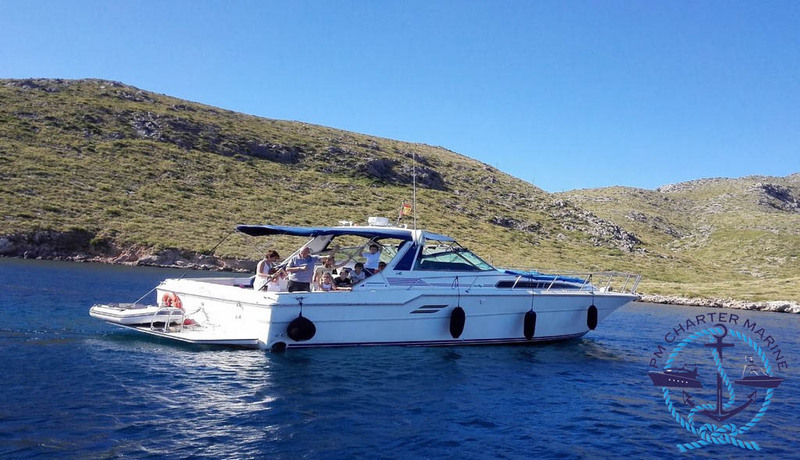 DIESEL NOT INCLUDED – price per nautical mile. WINE, CHAMPAGNE AND OTHER BEVERAGES. ENGINE OUTBOARD FOR AUXILIARY BOAT. PHOTOGRAPHIC OR VIDEO REPORT OF YOUR ADVENTURE.